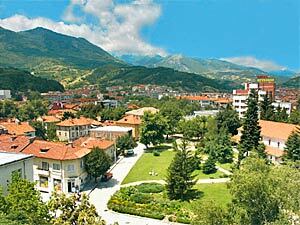 The Gotse Delchev municipality encompasses an area of 315.8 sq, km in the southwest part of Bulgaria. It borders the municipalities of Hajidimovo, Garmen, Bansko and Sandanski. The town of Gotse Delchev is situated in the Gotse Delchev Hollow, at the southwest foot of the Middle Pirin Mountain, along both banks of the Nevrokopska (Gradska) River - a tributary to the Mesta River, which flows 3 km west of the town.